Fires, overall, that have been vastly under-reported in the mainstream media. And, even when they are reported, they include often inaccurate qualifiers. So what the heck is really going on? The human hothouse is generating an ever-greater burning potential throughout the Arctic. One that has erupted toward new levels of intensity this year. One that is plainly and painfully visible to any who care to look. In Alaska, a massive area the size of one and one half Connecticuts (7,300 square miles) has already been consumed by fires. 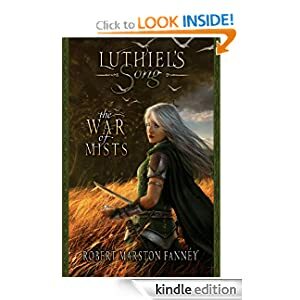 A zone of smoldering tundra, boreal forests turned to ash, smoking bogs, and smoldering, thawing permafrost. But aside from a handful of responsible sources (see also here), the mainstream media just can’t get what is now likely to be the worst fire season ever to strike Alaska right. So let’s take a few moments to set the record straight on what is an unprecedented burning of Alaska’s warming tundra, forests and permafrost. A burning that is related to human greenhouse gas emissions-based heating of the atmosphere in that the thawing permafrost provides additional understory and methane fuels to fires even as it multiplies the number of fire-igniting lightning strikes. At first, a sudden, abnormal outbreak of hundreds of wildfires throughout the Arctic state during June was framed ‘not abnormal.’ That is until June shattered all previous records for worst wildfires ever and put all notions that anything normal was going on soundly to bed. Next, the narrative ran on the false meme that most of the fires were caused by human hands (of the match tossing variety). Any journalist worth their salt, however, could simply check that pseudo factoid against the Alaska Interagency Coordination Center report to find that 377 fires were lightning-caused (well more than half) and that these lightning-caused fires, as of Tuesday, amounted to a whopping 4,675,000 acres burned. The human match, lighter, and campfire ignited fires? A piddly 30,000 acres. In other words, more than 99 percent of all the area burned was due to a warming-intensified proliferation of thunderstorm activity and related lightning strikes. Indirectly, we could certainly call this extra lightning human-caused — as the vehicle of greenhouse gas warming has resulted in a marked increase in lightning strikes to the thawing permafrost and heating forest and tundra fuels. But this particular human cause is certainly not of the typical match-throwing, arsonist variety. It’s another story entirely. A much more important story that far too many sources appear to be (unintentionally or deliberately) missing. A story of the plainly visible and worsening impacts of human-forced climate change. To use any set of language other than to characterize the Alaska burning as unprecedented, freakish, record, and abnormal is vastly irresponsible. Any attempt to attribute the 4,675,000 acres ignited by warming induced lightning strikes to ‘arson’ is equally myopic and misleading. If you’re reading a source that makes these claims, that source is an invalid and untrustworthy reporting medium. One that can’t keep a handle on even the most basic of facts. And when all the dust of this mass misinformation over a critical issue directly related to human-caused climate change settles, we find that Alaska’s fires are now burning at a rate fully one month ahead of the previous all time record fire year of 2004. Tuesday’s total acres burned of 4,705,000 stood but 1,900,000 acres shy of that record. And at the current rate of burning, that total could be consumed within a mere 7-15 days — putting the current Alaska wildfire season, by late July or early August, at new record thresholds with more than a month left for forests, tundra and permafrost to continue to burn. In the July 14 MODIS satellite shot we can clearly see massive smoke plumes billowing up from the still energetically burning fires in Central Alaska. Lightning laden cumulonimbus clouds ride overhead — a pattern refreshed by a continuous influx of warm storm moisture rising up over the Gulf of Alaska and deflected off the ridiculously resilient ridge (RRR) to the south. The storms are still setting off around 3-7 fires each day. A rate of new ignition that, though slower than June, is pushing total number of Alaska fires toward the unprecedented 700 line. 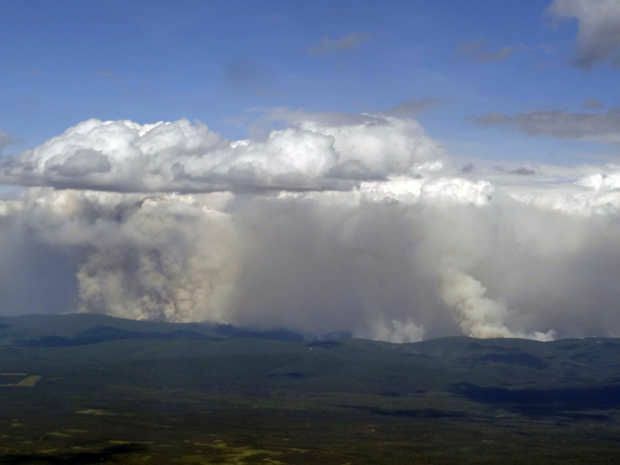 Across the border in Canada a whopping 5,105 fires are now also consuming vast stretches of Arctic land. It’s an outbreak that resulted in the largest natural disaster evacuation in the history of Saskatchewan. One that has drawn firefighters from all over the world to combat an immense proliferation of blazes. Blazes that have burned about 7.45 million acres so far or an area about the size of 2.3 Connecticuts. When combined with the Alaska fires, the total area now burned in Arctic sections of North America now equals about 12.1 million acres or more than 1 million acres burned since this time last week. Rates of burning for Canada are, like Alaska, in many cases unprecedented. Total acres burned for the Arctic nation are now at two times the five year average and three times the 25 year average. Specific regions, like British Columbia, are seeing as much as 10 to 20 times the typical area burned by mid July. 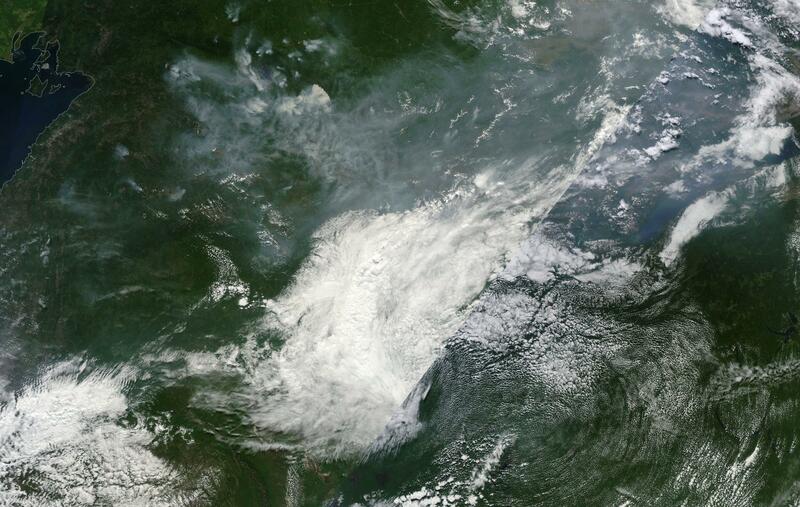 Moving on across the rapidly thinning ice of the Beaufort, Chukchi and East Siberian seas, we find that Eastern Siberia is also experiencing a massive wildfire outbreak. Reports from Russia on acres burned have tended to be spotty. But this zone near Lake Baikal has seen a persistent and then an expanding propagation of burn zones toward the north and east since April. 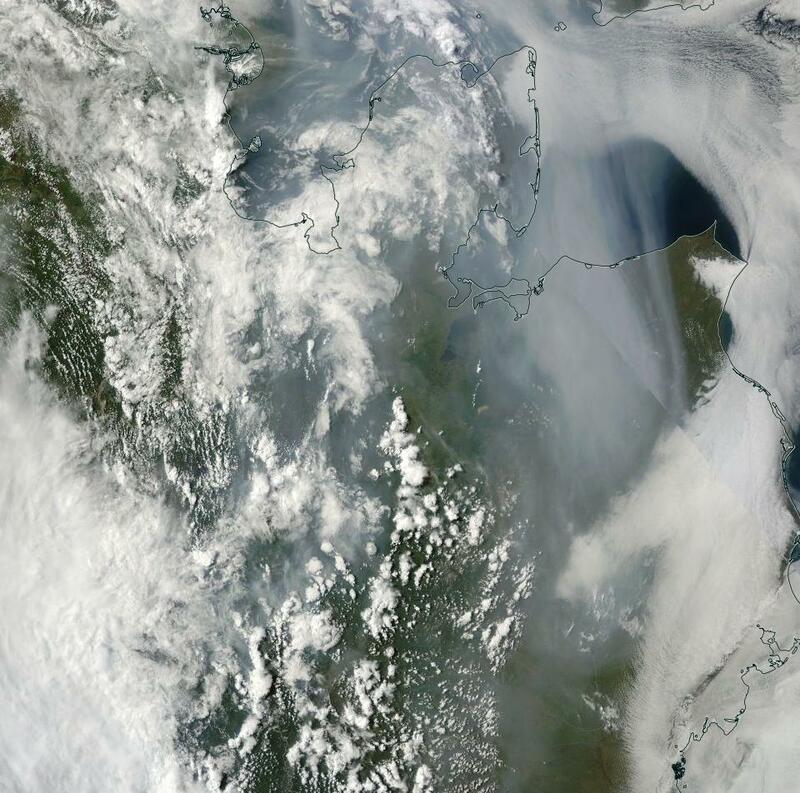 (Vast swath burns through Eastern Siberia on Wednesday. Image source: LANCE-MODIS). Today, the fire outbreak there could best be described as vast. Stretching from Lake Baikal to the Sea of Okhotsk, the fire zone now encompasses a region more than 1,000 miles across. 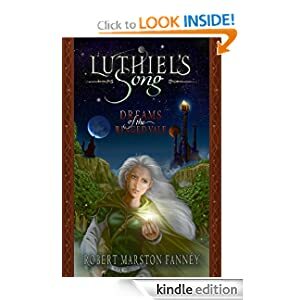 Scores of large fires can be seen burning beneath a massive cloud of smoke that streams all the way down through China, combining with the nasty coal dust cloud stooping over that fossil fuel victimized state. 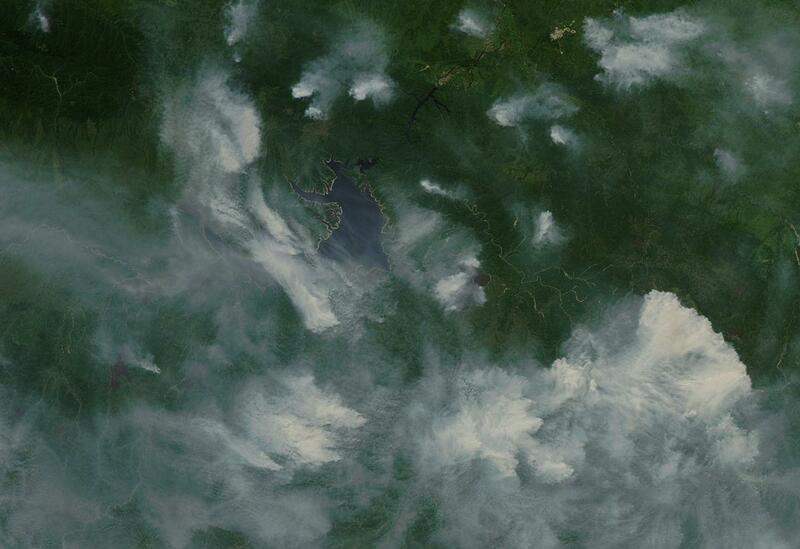 (Immense fires with fronts as long as 50 miles from end to end ballooned in Siberia today. Image source: LANCE-MODIS). For reference, the above image’s lower frame edge covers more than 250 miles. This gives us a sense of the utterly huge fires burning away from lower right to center frame. The massive outbreaks of fires in Canada, Alaska and Eastern Siberia during 2015 are not occurring in a vacuum. They are not isolated disasters to simply report, confuse, forget, and then report again when the new record fires erupt in 2016, 2017, 2018 or 2019. They are instead symptoms of a larger trend of polar amplification in the Arctic. The more than 1,400 billion tons of carbon in the permafrost is now being set to rapidly thaw. The permafrost, when unlocked from its primordial, thousands to millions year old, ice traps yields this carbon in solid, liquid, or gaseous form. The solid peats, the liquid organic carbons, and the methane seeps all provide new and highly volatile fuels for wildfires. In addition, boreal forests are not fire resilient like their more southerly cousins. The trees there do not typically face flame or intense ignition sources. So when an atmosphere heated by human fossil fuel burning produces powerful, lightning flinging thunderstorms in the Arctic for the first time in thousands to millions of years, the trees there have no natural defense against the fires that inevitably ignite. Individual trees may as well be standing sticks of dynamite in the face of this warmth-driven barrage. Other factors include tree killing pest invasions, the thin mat of flammable material that underlies most Arctic forests, and the drying tendency of the added heat itself. So much forest, tundra soil and permafrost burning in the Arctic can eventually have its own sort of warming-amplifying effect. For the fires, fires that are likely not even natural to the slower periods of warming faced by Earth during past hothouse events, rapidly unlock the carbon stored in the forests as well as the rapidly thawing permafrost beneath. This release adds to the already extremely intense carbon emission from human beings and further heightens the danger of hitting climate points of no return. This is the signal the media has lost in all its talk of ‘not abnormal’ and ‘arson.’ A warning cry from the Arctic. And one we had better not ignore.